Do you still have your original Geochron shipping container? You will need it. The Geochron shipping containers are designed to ensure that the transport company doesn’t destroy the clock – which can happen. So if we receive a Geocrhon and its shipping container is in a bad condition, then we will not re-use it. 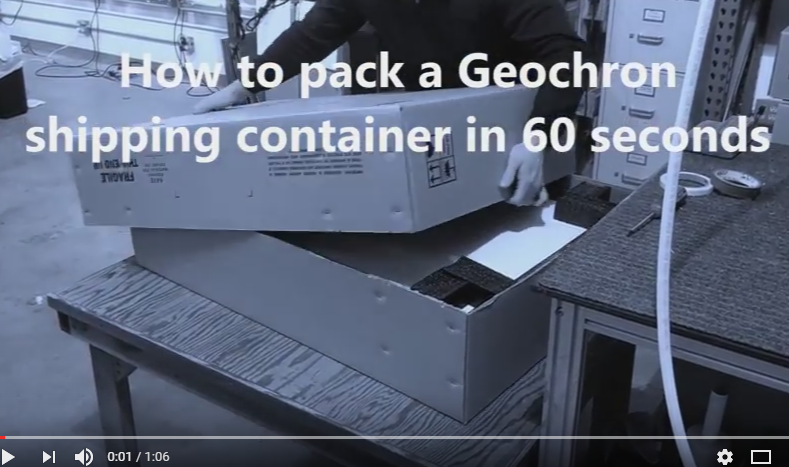 Here’s a useful video which shows you how you should pack a Geochron clock. This system includes a large container which has been designed specifically for a Geochron clock, along with packaging materials to make sure that your clock will arrive safely to its destination.